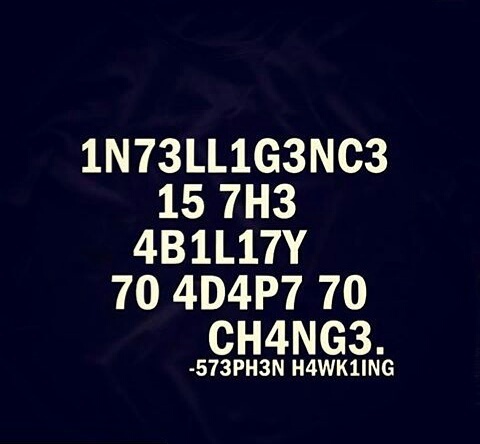 Intelligence is the ability to adapt to change!! Very good! Thanks for visiting my site and reading many posts! I appreciate it.